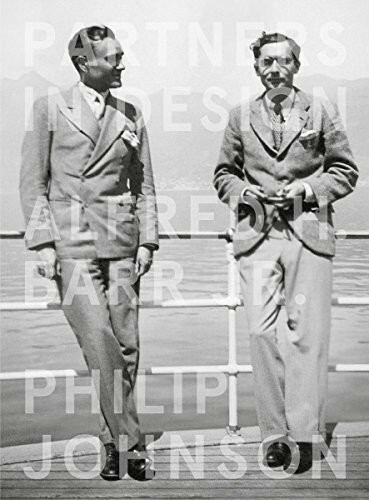 Although the new book chronicling the deep and important friendship between Alfred Barr and Philip Johnson is entitled Partners in Design: Alfred Barr and Philipp Johnson, a more apt title would be The Biography of an Aesthetic. This text expertly walks the reader through the genesis of the Modernist movement in America, from Johnson and Barr’s self-education in the movement, to how they educated the American public on the new style. So Genealogy it is, and the reader is able to see the force of Le Corbusier’s work compared to Aalto’s, which is then aligned with a Mies Van de Rohe, and so on. The book presents 14 comparisons between two Modernist projects, illustrating the evolution of the movement. The initial sections of Goldberger’s narrative are quite lively. He provides a deep and sensitive texture of a middle-class life through the 1940s and ’50s. Painting the landscapes that Gehry grew up in, a non-cosmopolitan Toronto and the vast expanse of the mining town Timmins, Ontario, speak to a pragmatic quality that arises later in Gehry’s work. Roberta Brandes Gratz’s latest book, We’re Still Here Ya Bastards: How the People of New Orleans Rebuilt Their City, is a holistic urbanist triumph. A steady and clear mapping of the aftermath of Hurricane Katrina on the city of New Orleans and the subsequent havoc that the BP oil spill played on the region, Brandes Gratz establishes a new touchstone for the urbanist chronicler. Radical Cities is, as Oculus Editor-in-Chief Kristen Richards, Hon. AIA, Hon. ASLA, framed it, pretty swoon-worthy. It is clear, kinetic, and adept storytelling at its best. This book (dare I say it) is a page-turner.